With Hollywood on the verge of a very possible writers’ strike (the Writers Guild of America just voted in favor of it), it’s worth recalling a place where these wordsmiths were celebrated and venerated. 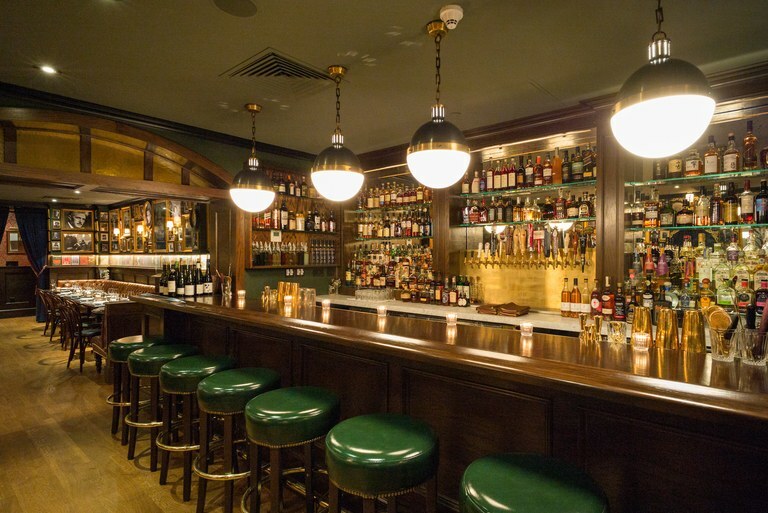 Since its inception, the West Village literary haunt Chumley’s—opened in 1922, shuttered in 2007, and reopened in shiny new form just last fall—has been a safe space and home away from home for scribes of all stripes (Hollywood screenwriters, poets, novelists, columnists, memoirists). The most dramatic case was when the so-called Hollywood Ten—the group of writers and directors, including Dalton Trumbo, who refused to testify to the House Un-American Activities Committee and were subsequently blacklisted—used it as their clubhouse of sorts in the late 1940s, according to Chumley’s archivist Jim DiPaola. “Many of the blacklisted writers used the restaurant as a meeting place to pass scripts they wanted to sell to Hollywood during the McCarthy era, because many of them had been longtime patrons. They knew that because of its speakeasy history and because it operated as it did during Prohibition (without any sign to indicate where it was) that it would make it the perfect place to arrange for a script hand-off,” says DiPaola. Thus they were still able to work, albeit secretly. Indeed, the trap doors and secret stairs that were essential during Prohibition are still present, and there is still no sign, even in its newly polished iteration. In those years, says DiPaola, Ring Lardner Jr. was the most famous of the writers who worked out of Chumley’s (his father was a presence during its speakeasy beginnings). “At the time of the blacklisting, Ring Jr. had already received an Academy Award for writing Women of the Year in 1943—he won an Academy Award while blacklisted, but it was under a pseudonym,” says DiPaola, adding that he later got his due screen credit for writing 1965’s The Cincinnati Kid. 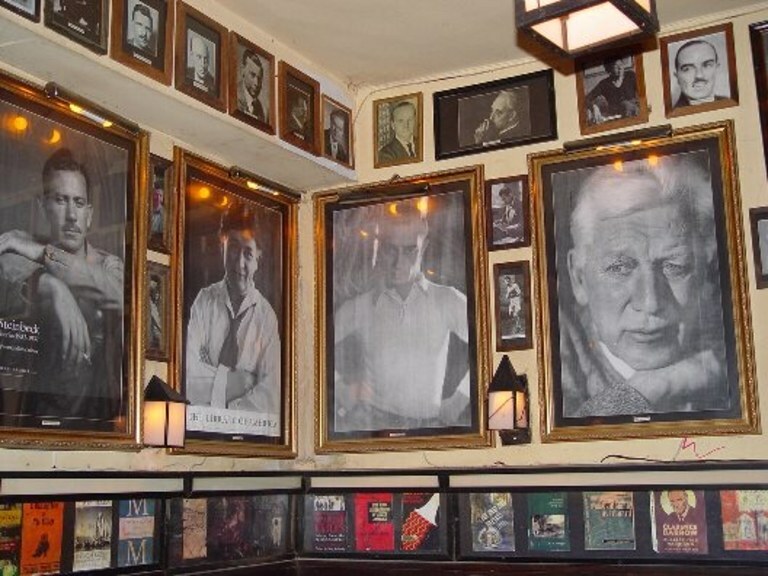 Other regulars included Hollywood Ten-er John Howard Lawson, Lillian Hellman, Dashiell Hammett and John Dos Passos. Today, these icons’ spirits are kept alive by plenty of memorabilia lining the walls, which has been remounted and rehung with DiPaola’s help. In their era, owner Leland Chumley was in the habit of collecting the jacket of a writer’s book on their second visit but he made an exception for Olympian Eddie Eagan, whose Fighting for Fun made it onto the wall his very first time. 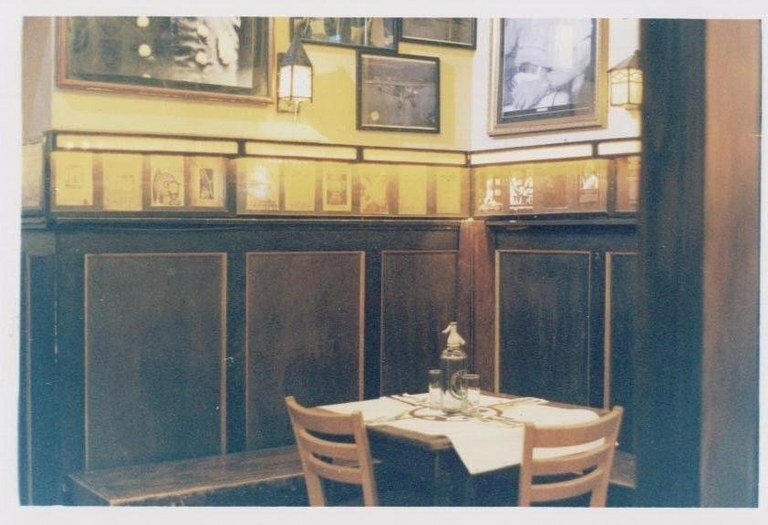 A photo of F. Scott Fitzgerald and his wife, Zelda, on their wedding day hangs over their favorite corner booth, number 26. Another fun fact: Chumley’s is where the term 86-ed came from. There were originally two doors, the back being 86 Bedford Street. One version is that bartenders during Prohibition would yell 86 when it was time to scram before the police entered. The alternate story: it was the way they’d identify an unruly guest who needed to be escorted out the back. 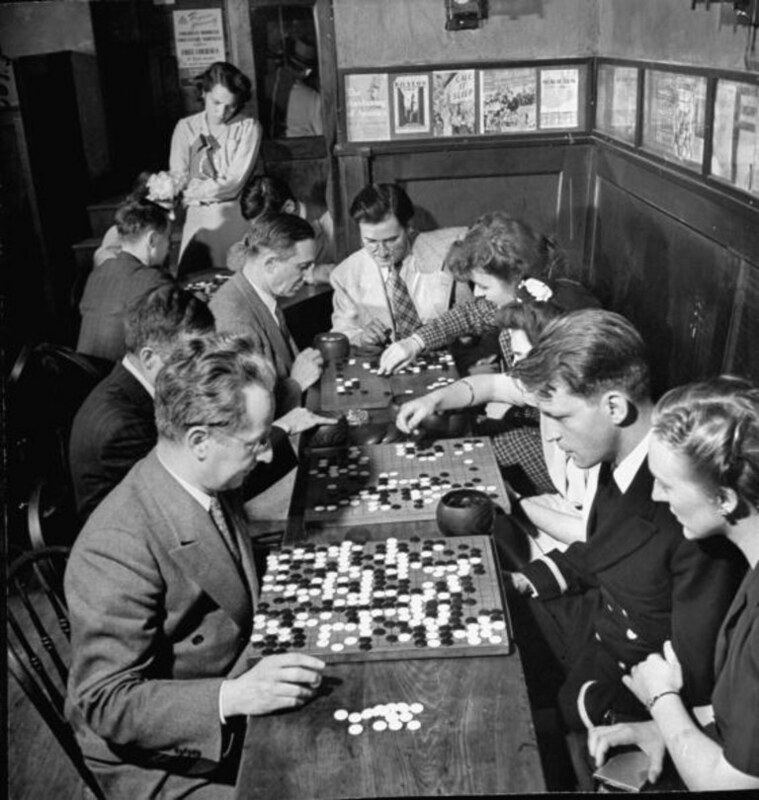 Indeed, things weren’t always peaceful—in 1960, freelance writer Clinton Curtis was killed in a brawl over a chess game—but the mood was generally light. Upon its 2007 closure, one patron recalled an evening when Pete Hamill and Stephen Lang read writer Damon Runyon’s stories aloud as the crowd “wept with laughter,” while another remembered Groucho Marx performing in the courtyard outside (his daughter lived there). And in the later years of its first act, actor Andrew McCarthy spent several days a week sitting at the bar in the early evening doing the New York Post jumble, and shouting answers at the television as Jeopardy played. Everybody’s favorite legend, Bill Murray, is rumored to have spent his fair share of evenings at Chumley’s, too. He’s in good company.